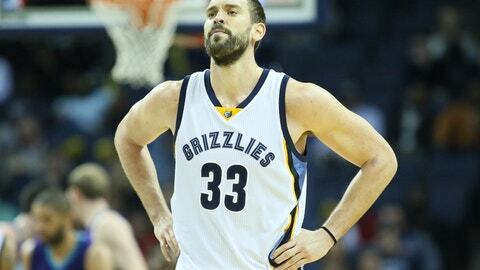 Salaries in the NBA are not necessarily reflective of a particular player's level of talent. There are many factors that determine which guys get the big-money deals, and that makes looking at the list of the league's highest paid players fairly intriguing on an annual basis. Here are the top 25 earners for the 2017 NBA season, with all salary data courtesy of Basketball Insiders. 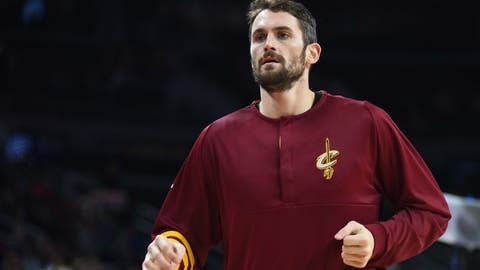 Kevin Love's max deal with the Cavaliers runs through the 2019 season, after which he can decline his 2020 player option for $25,595,700 to become an unrestricted free agent. 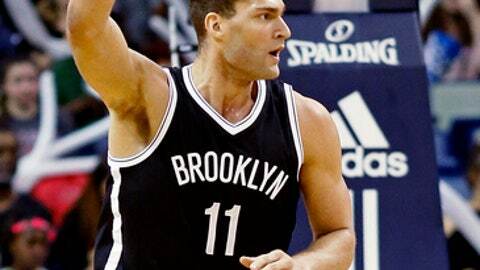 Brook Lopez has one more year on his deal that will pay him $22,642,350 next season. It'll be interesting to see if the rebuilding Nets are still the ones signing those checks. 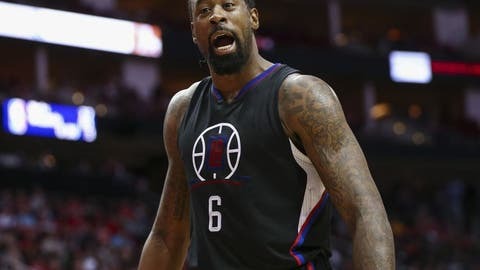 DeAndre Jordan is under contract for $22,642,350, and has a player option for the following year that he can decline to become an unrestricted free agent. It's worth wondering if the trio of Jordan, Blake Griffin and Chris Paul will still be together by then. Marc Gasol is one of three Grizzlies on this list, which seems odd considering the team's ceiling appears to be the second round of the playoffs, at least as currently constructed. Gasol's max deal is guaranteed for two more seasons, before he'll have a decision to make regarding his player option for $25,595,700 in the summer of 2019. Derrick Rose is in the final year of his deal, and will be an unrestricted free agent this summer. 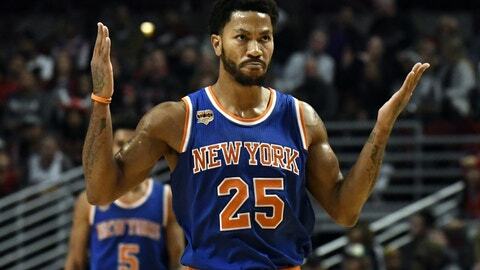 While Knicks fans would like to move on from Rose and begin a more traditional rebuild, Phil Jackson's track record of strange offseason moves would lead us to believe there's at least a possibility that Rose could be back in New York next season. 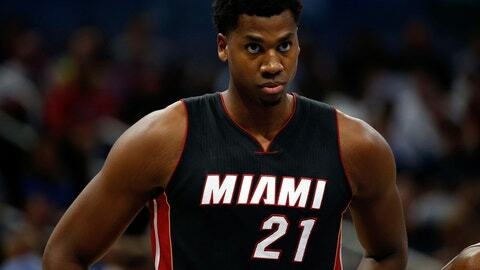 Hassan Whiteside's max deal runs for two more seasons, after which he can decline his 2020 player option for $27,093,018 to become an unrestricted free agent. The 27-year-old big man is leading the league in rebounding this season with an average of 14.1 boards per game. 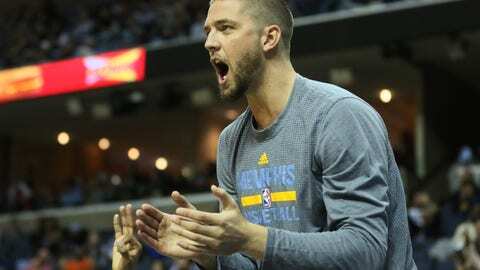 Chandler Parsons is in the first year of a four-year max contract he signed last summer, and Memphis may already be regretting making that offer. Injuries have limited Parsons to just 29 games this season, and he's averaging a career-worst 6.2 points in 19.4 minutes per contest. 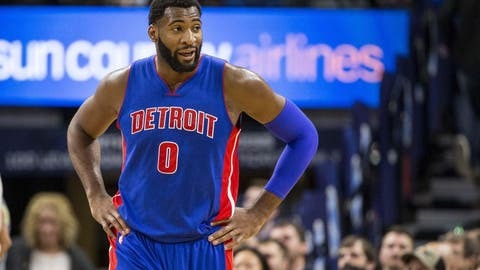 Andre Drummond's max deal runs for three more years after this one, before he'll have to decide whether to pick up his player option for $28,751,775 in advance of the 2020-21 season. 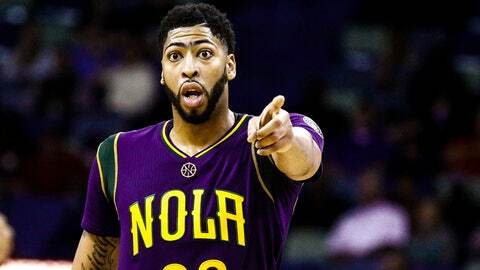 Anthony Davis got the same deal that Drummond did: A five-year max contract, with a player option for $28,751,775 in the 2020-21 season. 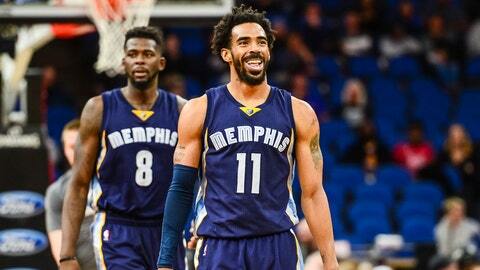 We're guessing New Orleans feels a little bit better about this one. 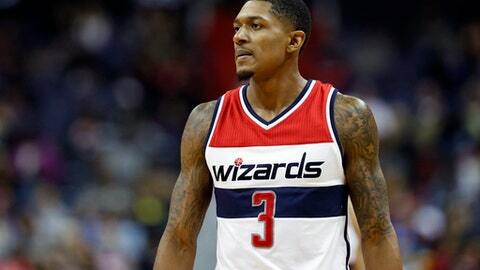 Bradley Beal's max contract runs for four more seasons after this one, with no options. He's the highest-paid player on the Wizards, and will be for at least the next two years -- before John Wall can sign an even larger deal as an unrestricted free agent in the summer of 2019. Harrison Barnes is under contract for two more seasons after this one, with a player option for $25,102,512 in the 2019-20 season. 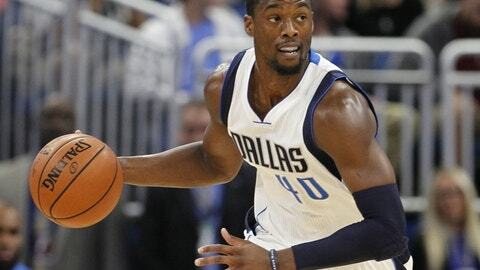 Barnes, 24, is averaging a career-best 20.0 points per game in his first season as the primary option in Dallas. 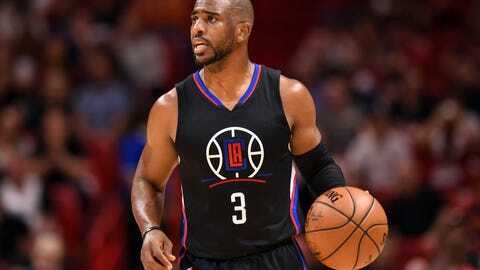 Chris Paul has an early-termination option on his deal, and he'll almost certainly use it to forego the $24,268,959 he could earn next season in order to sign a new multi-year contract at or near the max. Blake Griffin (who missed the cut on this list) has a similar option, so he and CP3 could theoretically hit the open market at the same time if they choose to look at options outside of Los Angeles. 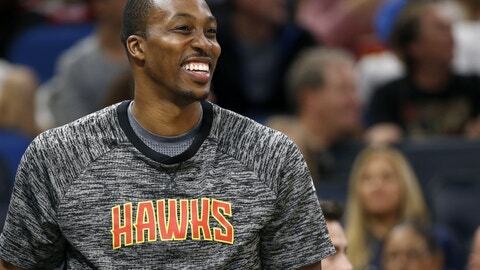 Dwight Howard's deal runs for two more seasons after this one, before he can test free agency once again in the summer of 2019. The veteran big man is averaging 13.3 points and 12.9 rebounds in his first season with the Hawks. Dwyane Wade has a player option to stay in Chicago for $23.8 million next season, and it's difficult to see another team paying him anywhere close to that if he chose to leave in free agency. 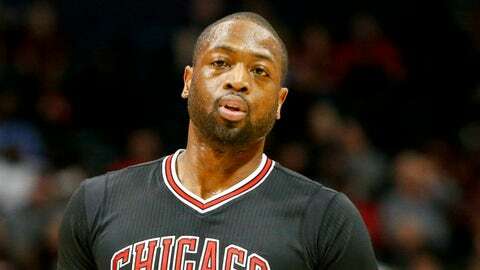 But with the Bulls potentially rebuilding, Wade may take less money to play for a contender. 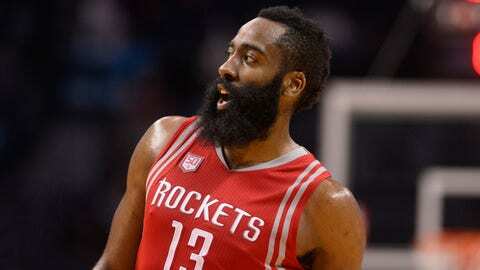 The 35-year-old is averaging 19.2 points, 4.6 rebounds and 4.0 assists in 30.5 minutes per game this season. 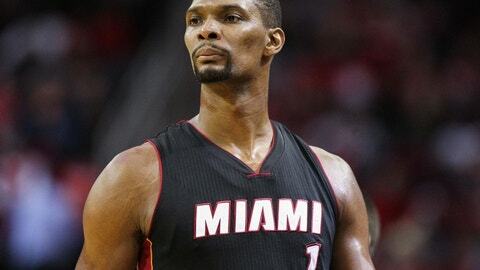 Chris Bosh has a medical condition that's kept him out of action this season, but he's still taking up a roster spot in Miami -- at least until the Heat part ways with him once the deadline for Bosh to sign with another team for the playoffs has passed. His contract guarantees him more than $52 million over the next two seasons. 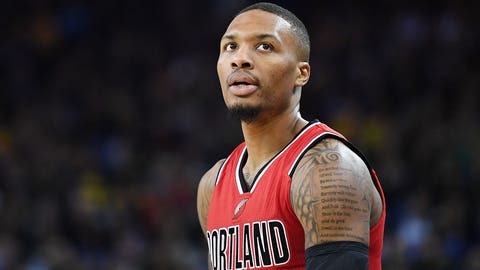 Damian Lillard's max deal runs for four more seasons after this one, without any options. He's averaging a career-best 25.9 points per game for the Blazers this season. 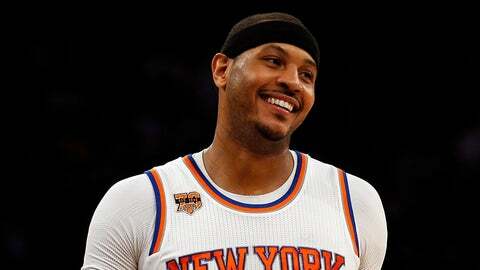 Carmelo Anthony is under contract for one more season, before he can exercise the early-termination option in his deal to become an unrestricted free agent in advance of the 2018-19 season. He may not waive his no-trade clause before then, but if the Knicks truly want to rebuild around Kristaps Porzingis, Melo may eventually be forced to finish his playing days somewhere else. 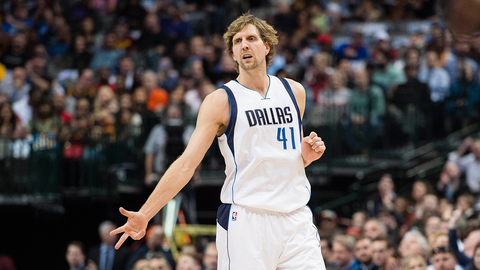 The Mavericks have a team option on Nowitzki for $25 million for next year, but given his relationship with Mark Cuban and the fact that Dirk has played all 19 of his NBA seasons in Dallas, in all likelihood, the decision to return will ultimately be his. Russell Westbrook agreed to an extension that delayed his free agent decision for a year, and Oklahoma City couldn't have been happier that at least one of their stars made a conscious decision to stay. 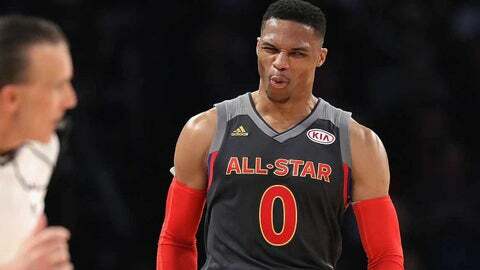 Westbrook has a player option for $30,670,404 for the 2018-19 season, however, so the Thunder would be wise to build a contending team around him before then so he doesn't feel the need to look around for a better situation. 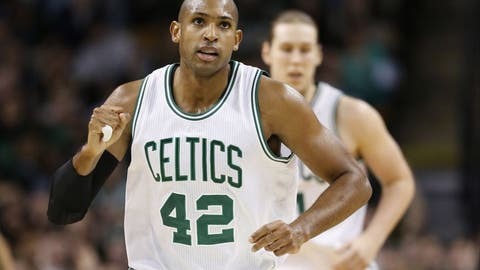 Al Horford was Boston's splashy free-agent signing last summer, and he's under contract for the next two seasons before he'll need to decide on his player option worth $30,123,015 for the 2019-20 season. Horford is an All-Star-caliber player, but the Celtics are still a star away from truly contending with the league's elite. James Harden is under contract for two more years after this one, before he'll have to decide on his player option worth $32,703,493 for the 2019-20 season. He's a legitimate MVP candidate this season, averaging 28.9 points while leading the league in assists with an average of 11.3 per contest. Kevin Durant signed a one-plus-one deal to join the Warriors in free agency last summer, which means the team is only guaranteed his services for this one single season. 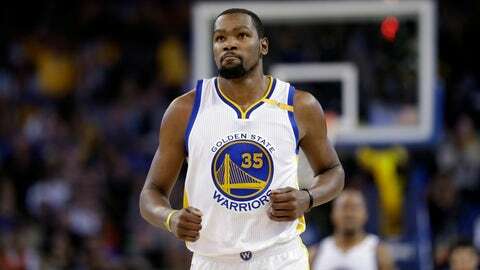 There's no reason to believe Durant won't re-up on a multi-year deal to stay in the Bay Area this summer, but he does have a player option worth $27,734,405 for next season that will require a decision. 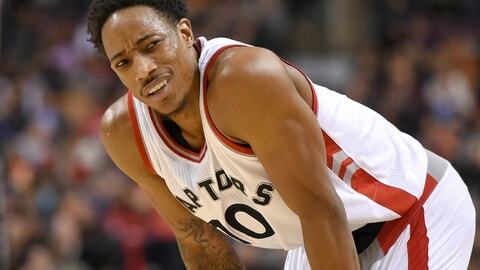 DeMar DeRozan inked a five-year max deal to stay in Toronto last summer, with a player option worth $27,739,975 in the 2020-21 season. DeRozan is one of the league's more gifted scorers, and does his damage almost exclusively from the midrange. He's averaging a career-best 27.7 points this season, and is doing so while attempting just 1.5 three-pointers per contest. This is the one casual fans will point to as a head-scratcher. 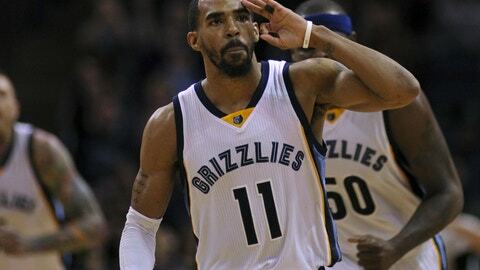 Mike Conley is a legitimate starting point guard, but he's in his 10th NBA season and has never made an All-Star team. He's also never averaged more than 6.5 assists per game, but his 19.4 points per game average this season is a career-best, as is his 41 percent shooting from three-point distance. Conley's five-year max contract worth $153 million is the richest deal in NBA history -- at least for now, until Stephen Curry sets a new contract record when he inks a similar deal with the Warriors this summer. 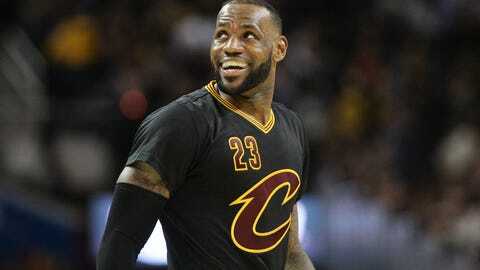 LeBron James signed a three-year deal worth $100 million last summer, making him the NBA's highest paid player. James is under contract for next year, and has a player option worth $35,607,968 for the 2018-19 season. No one deserves it more than he does.